Last month, Sophie commented on how expensive all the new things in my kitchen must be! Some are gifts, and others are purchases and some are homemade and cost very little. No matter what, I love spending money on my kitchen, and I cannot wait for the one in the main house to be complete so that I can buy more 🙂 Everything in my kitchen gets used, so nothing goes to waste. 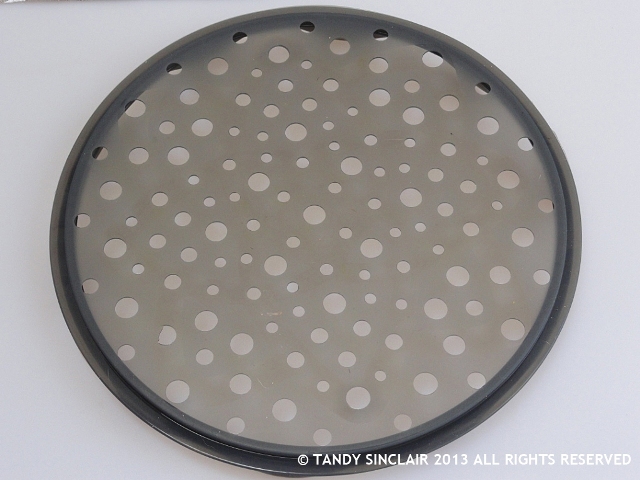 This is what was new in my kitchen at the start of March 2013.
is a microwave chip maker. I got this as I need to crisp some plums for a recipe and fructose has too low a burning point to do them the traditional way. I have used this for plums, apples, butternut, carrots and beetroot so far. is creamed honey from a friend of mine. She keeps bees close to where we live and I sell her honey when it is available. 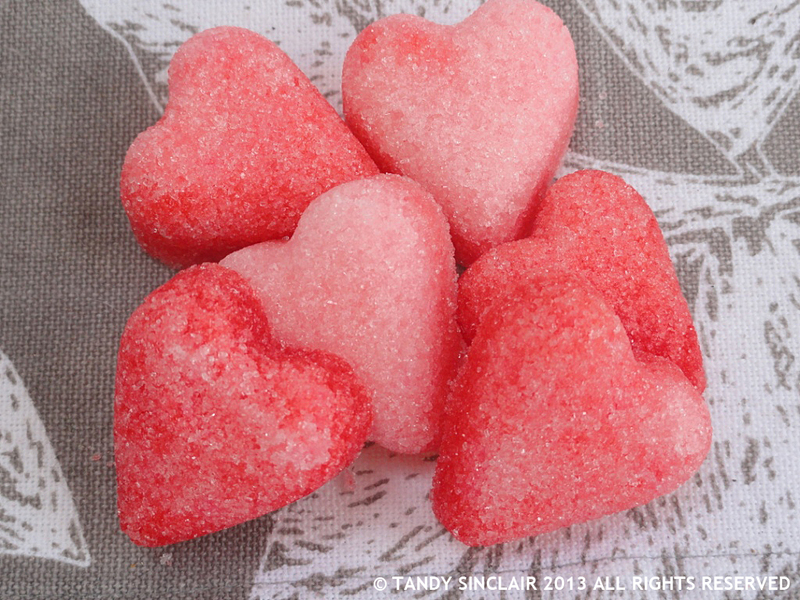 are some sugar hearts which I made by mixing a little bit of water and food colouring into some white sugar. You have to add the water a drop at a time as you want the consistency of damp sand. Once the sugar is moist add the food colouring a little at a time. Compress the sugar into a silicone mould and allow to dry before carefully tipping out. I got this from the November 2012 IDEAS magazine. 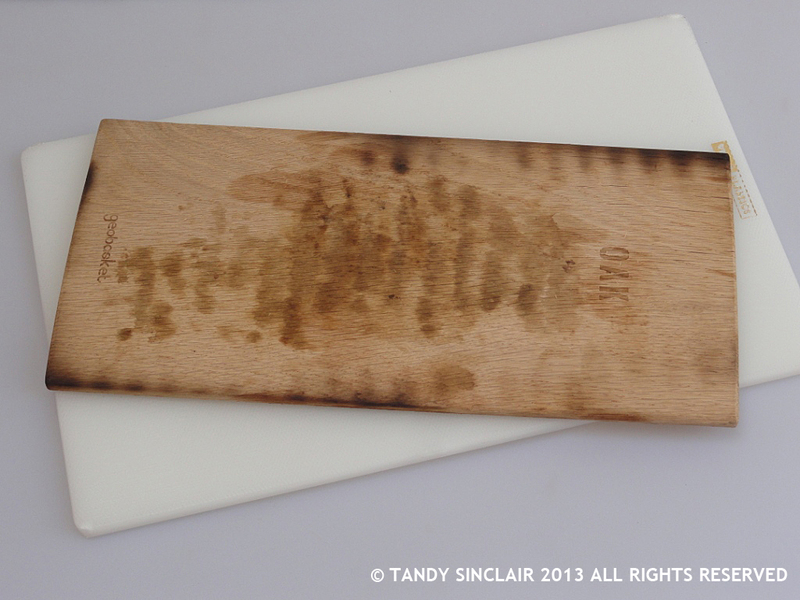 is a vesconite chopping board that one of Dave’s suppliers sent him as a gift. There is also a BBQ plank which does not work as advertised! 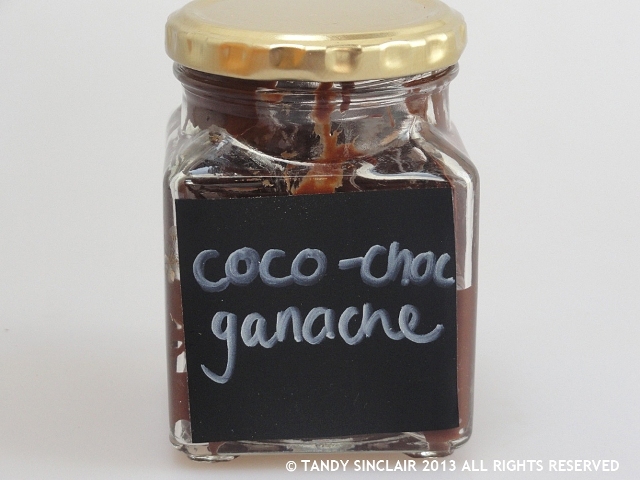 is a ganache made out of reduced fat coconut milk and sugar free chocolate. 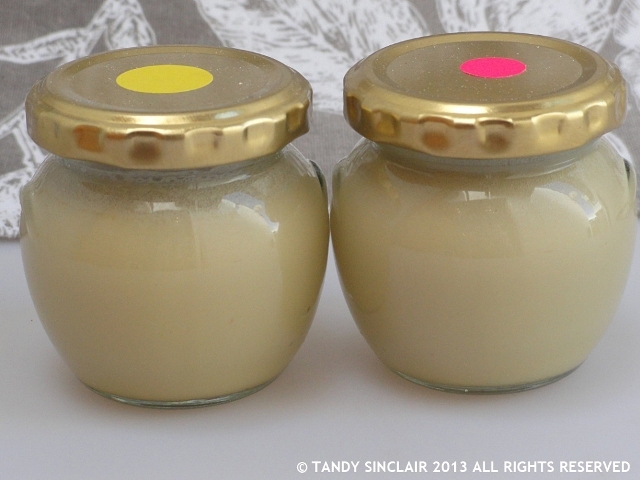 I got the recipe here – I used 150g of chocolate and 95mls of coconut milk. After melting the chocolate in a double boiler, I whisked in the coconut milk. Dave does not like coconut but he didn’t even taste it in this ganache! 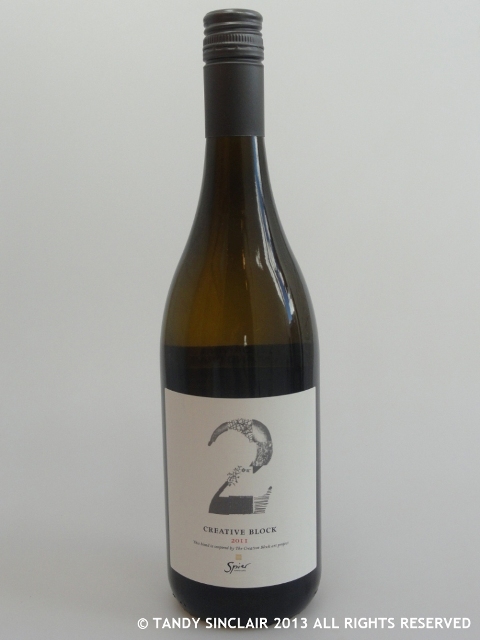 is a bottle of wine that I was given as a gift after our stay at Spier. 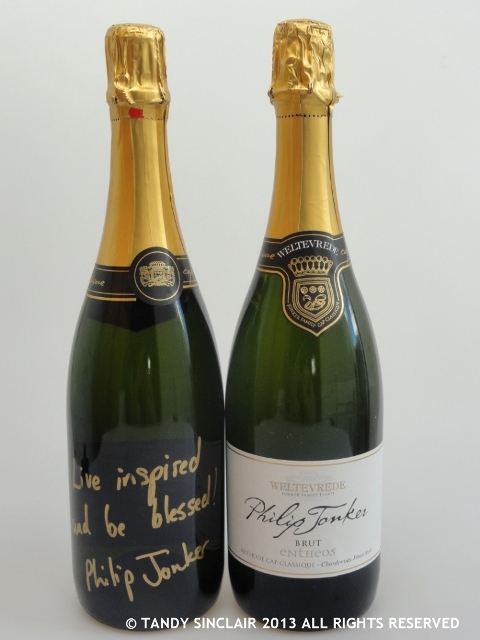 are two bottles of champagne that Dave and I bottled this past weekend at Weltevrede. the most exciting thing in my kitchen …. I always enjoy these IMK posts! I love the microwave chip maker and the scourdough starter! 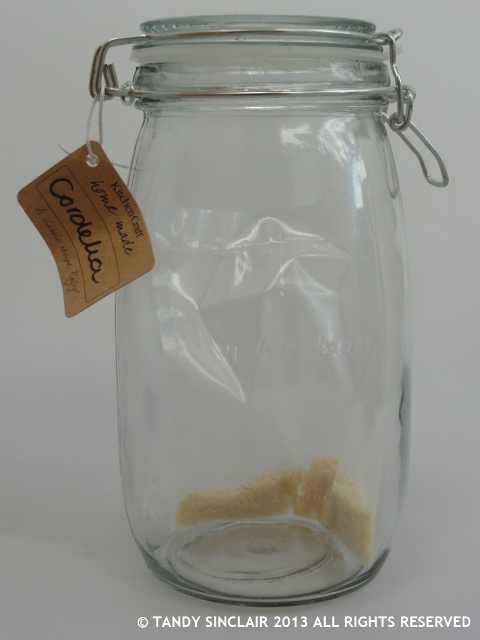 The sourdough starter is amazing – shout if you want some! I love the things in your kitchen – always have! I love that chip maker- it is cool to look at and useful too! And Welcome to Cordelia- I have her sibling Thing Two bubbling away on my countertop! I love the reference to The Cat In The Hat! I am quite enjoying the chip maker as well! Happy baking, you have some really good things in your kitchen this month. What a fun little tour you’ve given us! I especially like the name of that wine and the idea of a microwave crisper. Lovely new things in your kitchen this month! I love your coconut chocolate ganache!! MMMMMMMM! Your bottles of cahmpagne look great too! That sourdough starter is a winner too! I read Celia’s post about it! That cinnamon & creamed vanilla honey sound so tasty too! And she is local near you? Lucky one, you! I’ll take that chip maker! What a happily stocked kitchen, Tandy! I can see a lot of wonderful bread in your future. Hi Tandy, Those hearts are very pretty. Good luck with your bread making. By the way, your header is very nice. Great photo! OK, now I need to make those little hearts! The coconut ganache is on the list for this weekend; I’ll need to make a cheesecake to pour it over. As a big fan of champagne your bottles look like a celebration waiting to happen. How can one not smile when looking at that? Always such lovely goodies in your kitchen Tandy. What do you use the sugar hearts for?